Welcome to the Autism in the Museum website. This website is a first attempt to draw together some of the work that has already been done across the United States and beyond to make museums, nature centers, zoos, aquaria, arboreta, and other types of informal educational settings more accessible to and inclusive of people on the autism spectrum. As a museum writer, consultant, and mother of a teen with an autism spectrum diagnosis, I've been involved with researching, writing, training, and consulting on autism and inclusion since 2006. Over that period of time, many museums have created programs, events, and a huge range of materials to support inclusion -- but there has been no single source of information about what works, what's available, best practices, or even models for success. 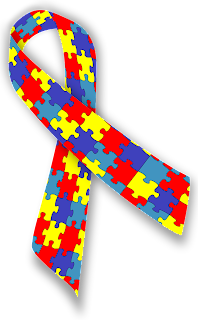 As this website grows, I hope to inspire interest in creating and sharing templates, tips, wikis, online trainings, interactive tools, exhibits, programs, and other tools for engaging children, teens and adults with autism. Materials to add to the site? Please let me know! I hope to grow this site, and, in the long run, to create a more robust and interactive space for sharing ideas, experiences, and opportunities. Go Lisa Jo!! This is SO very needed in EVERY community, big and small, to make accessibility a priority and not an afterthought! Thanks so much, Rachel! Please feel free to suggest additional resources, links, or ideas!